Hi friends!! This is the first time I am going to review nail polish collection on my blog. 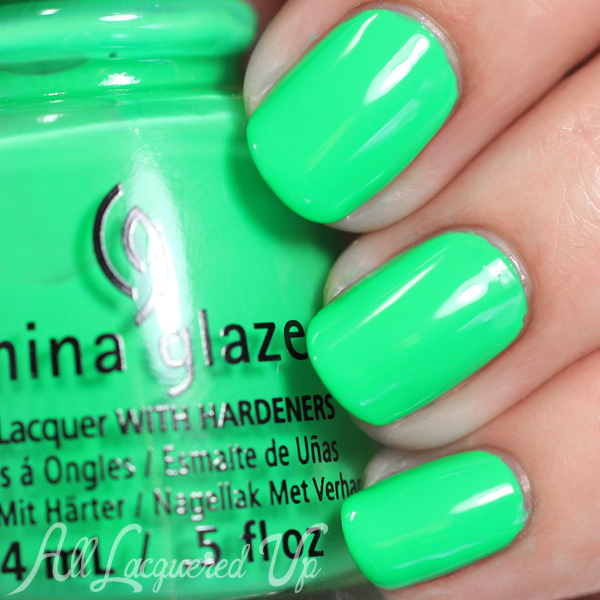 China Glaze is one of my favorite nail polish brands. It is free from Formaldehyde, Toluene, and DBP. The brush is thin and medium-sized that makes the application a lot easier. China Glaze Electric Nights Summer 2015 collection includes all bright and neon shades. There are three night glitter tops in this collection. This collection is inspired from electronic dance and music. I always wait for their summer collection because they are simply amazing. Application Tip: I always prefer a white coat before neon and bright shades to boost the brightness of the color. It also makes the color opaque. 82605: DAISY KNOW MY NAME? Violet Vibes is a berry creme color. It is purple hue with great formula and easy application. Plur-Ple is a bright purple creme shades and it dries with satin finish. It looks light streaky on first coat but evened on second coat. Glow With The Flow is a bright neon pink creme toned. It is a florescent Barbie shade. It is a super gorgeous pink color. Red-Y To Rave is a neon reddish orange color. It gives a resemblance of traffic light. It’s an amazing color. Home Sweet Home Music is a bright, cherry and citrus shade. Daisy Know My Name is a super duper bright neon yellow color. It is difficult to develop opacity with any neon yellow shade. So, I suggest you to wear it on one coat of white nail polish. DJ Blue My Mind is a perfect and gorgeous blue color for summers. Uv Meant To Be is a sky blue hue. It is lighter than Dj Blue My Mind. It may stain your nails like any blue color. So, prefer a coat of white nail polish or base coat before applying it. Treble Maker is a bright Kelly green color. It is not exactly neon green that makes it standout in other shades. It also stains. Point Me To The Party has pink, green, orange, blue, magenta neon glitter flakes in different sizes. 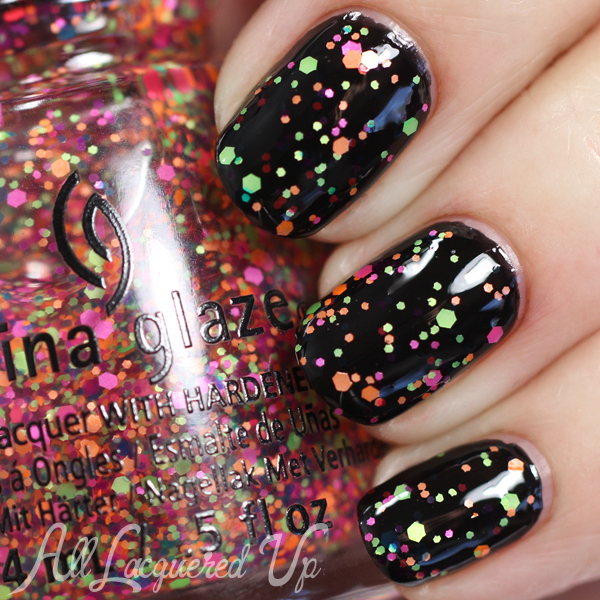 It is a beautiful top coat that includes rainbow color flakes. 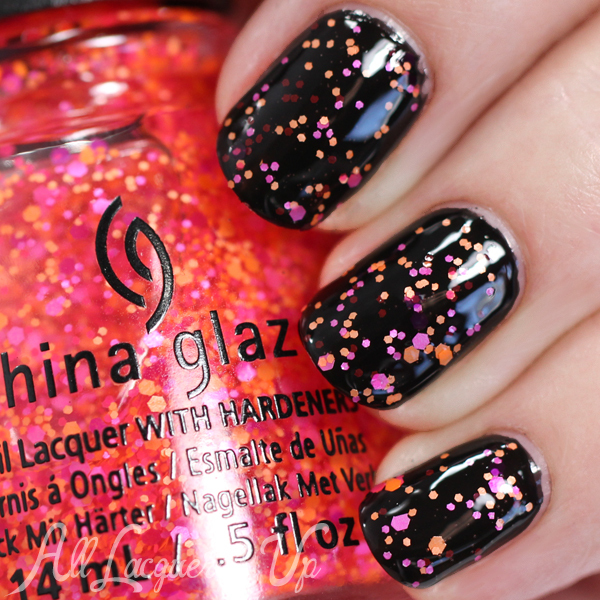 Let The Beat Drop is another top coat with fuchsia, pink and orange hexagon flakes. Can I get An Untz Untz is third top coat that has neon green, blue and fuchsia hexagon flakes in different sizes. In totality, I liked the neon glitters the most. I am going to fun with them by layering them on different bases. I loved all other colors. China Glaze Electric Nights collection includes all bright and neon colors. The formula is little thinner. So, you can do amazing water marble nail art with it. What are your views on Electric Night collection? What are you views on glitter tops? Which is your favorite color in the collection?